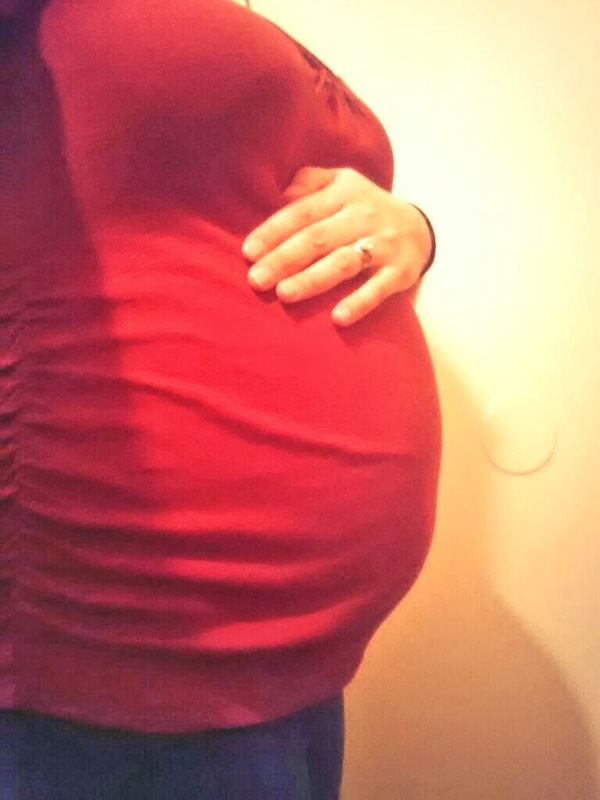 BUMP UPDATE: 30 Weeks Pregnant- Getting Closer to the Finish Line! I have not been very good with my pregnancy updates... shame on me. Well, I'm thirty weeks pregnant now! I'm starting to slow down A LOT and don't have much motivation at work, or at home for that matter. Baby girl is definitely getting bigger and moving a ton which causes me to feel lots of discomfort. COME ON MARCH! Only 9 weeks to go until we meet our second baby girl. BELLY BUTTON: Still an innie! It's what I call the deep dark abyss.. no way that thing is turning into an outtie. LINEA NIGRA: For some reason it hasn't showed up this time... weird. SLEEP: Pretty good still! I'm starting to get more tired again now that the third trimester is here. My body pillow is my best friend. NURSERY UPDATE: The Hubs and my little lady put the crib together. There are boxes of diapers and wipes on top of it. We also have a changing station. Other than that, nothing has been done... if I was home more I think I'd have more motivation! FEELING: Pretty good. Depends on the day... every other day I feel like poop! 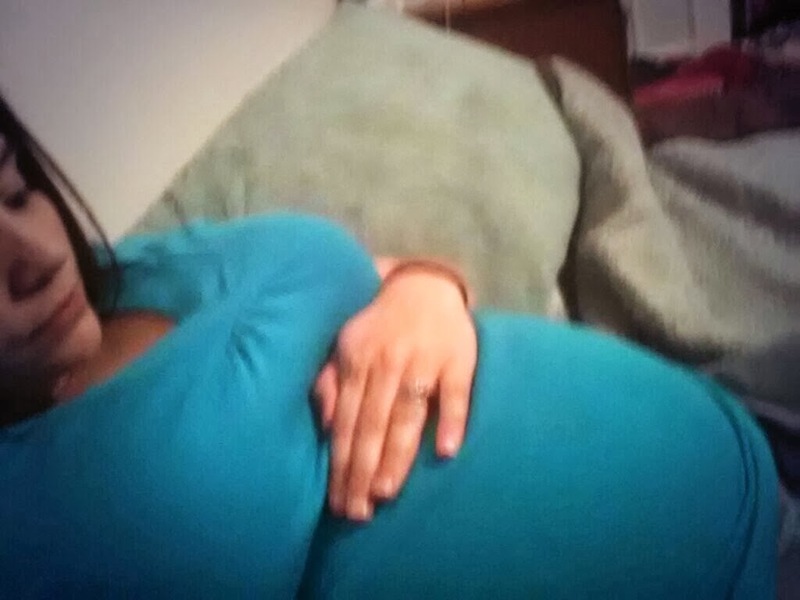 MATERNITY CLOTHES: Some of my size M's are starting to feel snug... stop growing so fast baby! MISS ANYTHING: Sometimes I miss my old body and how there wasn't a huge belly in the way. FOOD CRAVINGS: Not really. I don't crave much right now... sometimes I have to force myself to eat. WOMP. ANYTHING MAKING YOU QUEASY OR SICK: In the last couple weeks I've gone through little spells of nausea. Hopefully it doesn't get any worse. WEDDING RINGS ON OR OFF: Still on but some days I can't take them off because my fingers are swollen. HAPPY OR MOODY MOST OF THE TIME: I think happy.. though I have had some mini meltdowns lately! LOOKING FORWARD TO: My baby shower on March 1st!